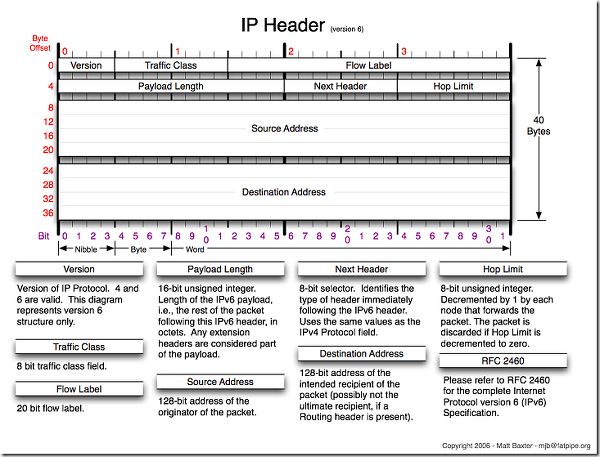 Today, I m going to share with you actual method to calculate the checksum of IPv4 (Internet Protocol Version 4) header packet at the binary level. Well, guys, we all know that In programming profession many times we have to work on a project related to Networking. In Networking Projects, Without Understanding protocol concept clearly, Networking projects drives our mind crazy. Actually, the Calculating checksum is very hard and difficult concept for many guys because Networking concept is very big and complex. Hence, In networking protocols packets concept, the IPv4 checksum is an important topic to understand Because IPv4 checksum is One type of the hash value of complete packet that verifies the completeness and status of the packet. During a TCP communication, Client Always sends IP checksum values into the IP packet so that the packet receiving server application can analyze the packet value and recalculate the checksum to verify the status of the packet. To calculate the checksum of IPv4 packet first, we need to create a complete IPv4 Header packet with checksum value set to Zero bytes to calculate the actual checksum of IPv4 packet. Let me explore this theory concept in more depth so that you guys can understand it easily. actually first, we have to divide and slice binary data into 16 bits pieces. After slicing in 16-bit pieces, we have to do find out the binary addition of all sliced pieces. After getting the binary sum of 16-bit pieces, there is one more small trick before one's complement of the binary sum. actually, we just need to take a 4-bit number from starting point of binary number and then add it again with the main binary sum. At last, calculate one's complement of the binary sum. done! I hope now you got the basic concept of IPv4 Packet CheckSum. Let assume that We have 4 bytes of IPv4 header data (32-bits). Done! That One's Complemented binary number is our checksum.